Whenever you don’t hear from me, you can be sure I’m up to something new and exciting. Given my track record, it is highly probable that I’m travelling. After exploring Dubai and gallivanting in Paris, this time I traveled ‘back home’ to India. Everyone calls it home, but given that I’ve lived nine out of the ten months of my life in Ivory Coast, I think this country is more home to me than India. 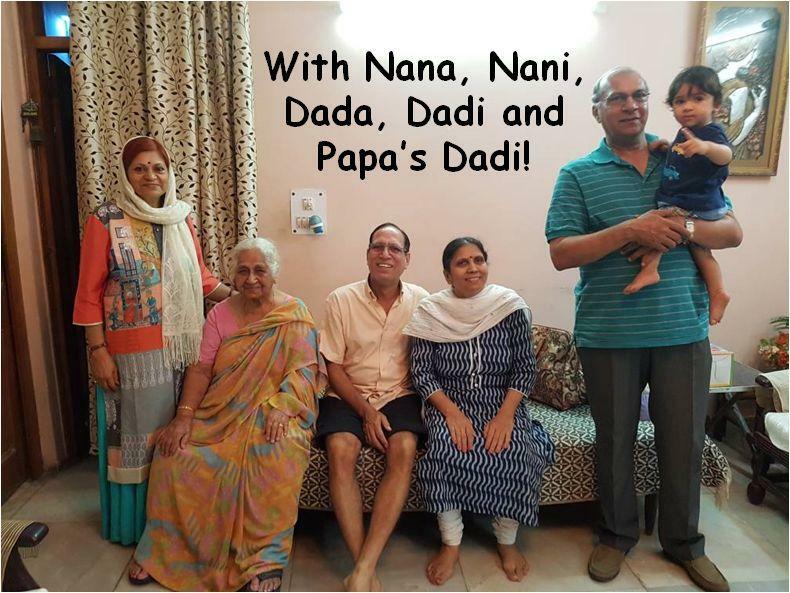 Nevertheless, home is where the family is and I discovered a big fat Punjabi family waiting for me when I arrived in Delhi this month. Braving the scorching heat, we finally reached our home in Delhi. After my birth, this is the house where I lived for the first month of my life. Honestly, though, my memory was a little sketchy. I remembered a little of the house, but almost nothing of the residents of the house. You can’t really blame me; I used to sleep 20 out of 24 hours in those days, waking up to greet the occasional visitor. Anyway, I had just about entered the house and breathed a sigh of relief at the endless journey coming to an end, when about a dozen denizens descended upon me. “Avyay, look Dadu… Dadi… Chhote Dadu… Chhoti Dadi…. 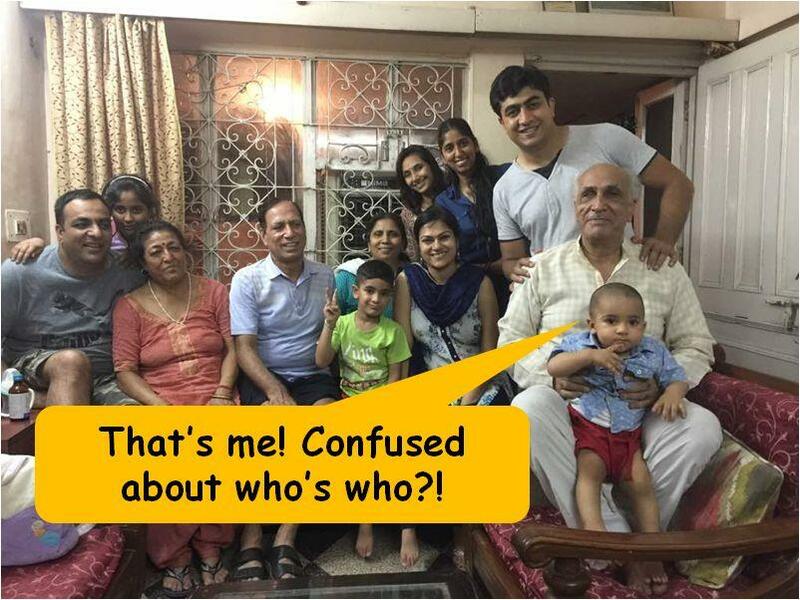 Kirti Bua… Pakku Bua… Pitaji… Mummyji…”, my parents squealed with pride. I reeled. Then I burst out crying. How was I supposed to remember the names of so many people?Lots of people jumped in to rescue me from my emotional outburst. Someone offered water. Another one said, “Feed him something”. The AC was turned on. Toys were produced out of thin air. My heart melted a little. I may not know them, but this bunch of enthusiastic members were my family and they were trying so hard to befriend me. Little by little, I got to know the family. Dadu realized I like music. He took me in his lap, turned on his stereo and together we danced to the beats of “Chikni Chameli”. Chhote Dadu, who is my Dadu’s younger brother, amused me with countless antics. No matter what mood I was in, he always knew how to cheer me up. 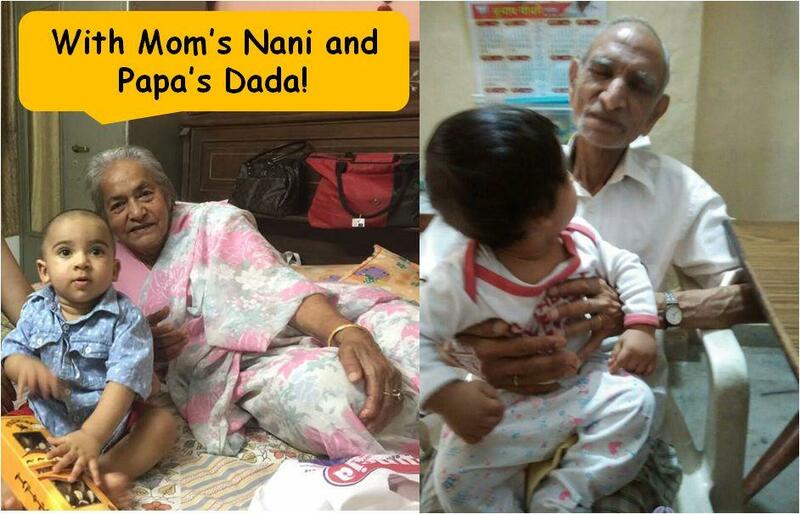 Dadi watched me quietly, with a smile playing on her lips. Every day at my bath time, she sang to me softly while massaging and bathing me. As she did that, some old memories resurfaced. She was, after all, the person who had massaged and bathed me in the first month of my life. Papa’s grandparents watched me cautiously from a distance, and so did I. By the end of the first week though, I would sit beside my Great Grand Dadu and clap with him. With my Great Grand Dadi, I would hide behind a curtain, and when she would see me, I would say “Ta!” It never ceased to amuse her. And then there were my three Buas, my Papa’s three sisters. What a bunch of fun-sters they are. They always had some interesting games for me. We crawled on the floor together, watched fish in the home aquarium, did colouring in books and made funny faces for selfies. In case the dose of Punjabi love and effusiveness I was receiving was not enough, they all took me to a family wedding. What a night that was! 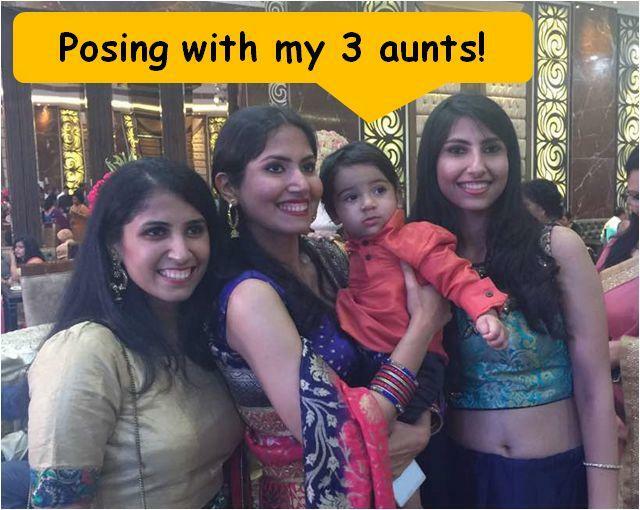 We dressed up in ethnic clothes, ate Bhalla Papdi Chaats and danced to all the latest songs. I met innumerable Dadas, Chachas, Tayas and what not. With each warm hug, I got a ‘shagun ka lifafa’, so that by the end of the trip, I was richer by a couple of thousand rupees! All in all, it was a most profitable visit. Not only did I make more money than I had spent on my ticket, I also discovered loads and loads of enthusiastic relatives, while uncovering the hidden Punjabi within me. If you enjoyed reading this post, check out my write-up on what happens when an NRI baby travels back to India!